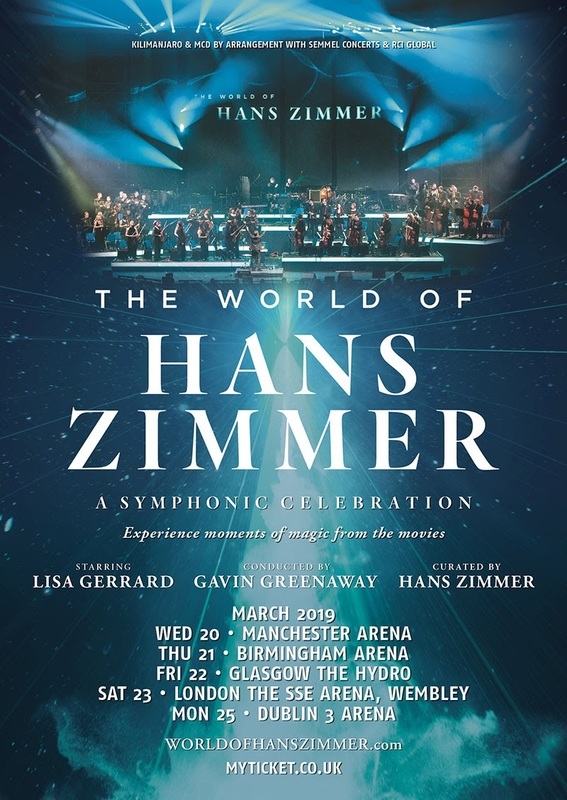 Composer Hans Zimmer will bring The World of Hans Zimmer – A Symphonic Celebration to the UK in March. Under the direction of Zimmer’s soundtrack conductor Gavin Greenaway, a symphony orchestra will deliver Zimmer’s soundtracks as concert suites written by the Oscar, Grammy and Golden Globe Award winner for the first time. The tour will start on Wednesday, March 20th at Manchester Arena before heading to Birming Arena (March 21st), Glasgow Hydro (March 22nd), Wembley Arena (March 23rd) and Dublin 3 Arena (March 25th). For tickets and details go to myticket.co.uk.